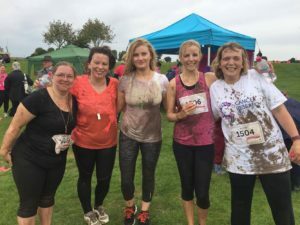 Fenner Precision team get Pretty Muddy! Congratulations to the Fenner Precision team who took part in the Pretty Muddy 5km race. The event was held at the Lincolnshire Show Ground on Saturday 1st October, the team managed to raise over £500 for Cancer Research! Well done ladies! Our team looking Pretty Muddy!